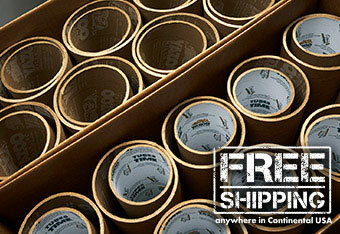 Save an average of 26% per tube with Yazoo's Multi-Pak of assorted mailing tubes! We understand that one sizes definitely does not fit all, which is why we offer our Multi-Pak of assorted mailing tubes. These high-quality assorted cardboard tubes are a combination with Yazoo’s most popular sizes of heavy-duty kraft tubes, packaged together for significant cost savings. In order to maximize the number of tubes shipped in each box, the assorted mailing tubes are “nested” together inside of each other, allowing this product to be more economical to our customers. Our sizes range from 2-1/2” I.D. to 5” I.D. Each order of Multi-Pak tubes include plastic end plugs and are available for FREE same-day shipping on orders placed by 4pm EST. Premium strength and in stock for immediate shipment. Prices include shipping charges in continental USA, cost of tubes, and plastic end plugs. Please contact our sales department or orders shipping outside continental USA.